Fitbit is basically a pedometer that tracks steps, mileage, stairs climbed and calories burned and uploads it to your (free!) 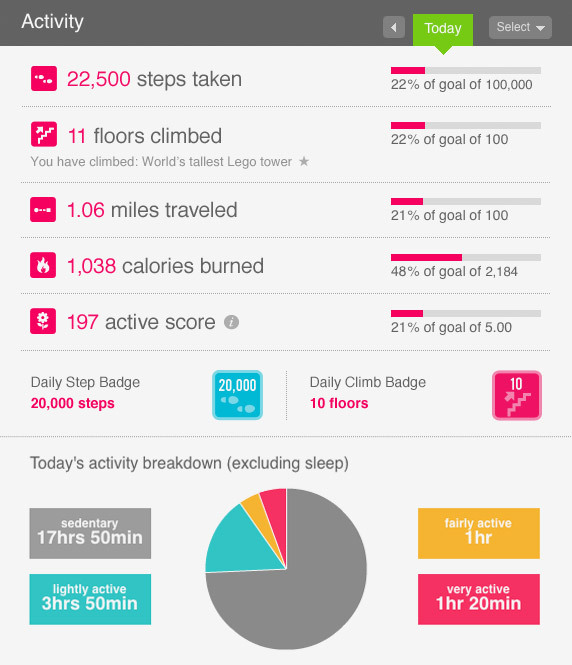 personal Fitbit dashboard. Your dashboard shows you your real time activity data so you can not only see how active you were during the day, but when you were the most active. As someone who is already pretty active I don’t know that the Fitbit encourages me to be more active (although knowing I’m wearing it somtimes I’ll park a little farther away to get the few extra steps! ), but I find it interesting to see the data at the end of the day. It’s also helped me to rationalize not working out or running on most of my “long work days” because since I’ve been able to see the data it’s shown that I walk between 6-8 miles on most of these days. I also used Fitbit when I was down in Florida before the marathon to monitor how much I was walking around the parks so I didn’t tire my legs out before the race! If you’re not someone who is already regularly active Fitbit is a great way to motivate yourself to get up and move around a bit throughout the day, and if you’re intersted in weight loss the Fitbit dashboard also allows you to log your food intake for the day. The other very cool feature of the Fitbit is that it can track your sleep! 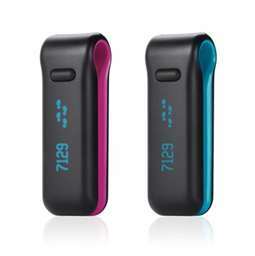 You just slip the Fitbit in to the wristband that comes with it and when you wake up and check the data it will show you how much you moved during the night and how efficiently you slept! I’m not sure how accurate the data is, but I do see spikes (which indicate movement) when I wake up when my husband leaves for work before I do, or if I get up to get a drink in the middle of the night. Definitely fun and interesting data for a $99 gadget!